About Maven Infosoft Pvt Ltd.
We are India based Offshore Software Development Company, working on LAMP technology and Microsoft technology. We expertise in enterprise web application development in areas of designing, customize module development and implementation. We work on Magento, Drupal, Zend Framework and MOSS frameworks. We have expert team which handles and deliveres eCommerce, ERP, CRM solutions effectively. Magento - We have been working on Magento from its prerelease and all of its versions. We have done quite a few Magento based enterprise project with multistores for approx 75 cuntries and currencies. We have expert team for Magento theme design, template design, extension and module development. We provide wide range of extensions for all Magento versions. Drupal - We work on Drupal from its version 4. We have developed quite a few Drupal designs, templates and modules. We have worked on SugarCRM type interface in Drupal. We have developed Mutli color combination theme based on color palate like BBC and msn. We have worked on Drupal based enterprise application and news sites. Zend Framework - We work on Zend framework from its first version. Zend framework is one of the enterprise frameworks for PHP. We have worked on many enterprise application based on Zend framework. Churchworks application and Tuttogratis web portal are our enterprise work based on Zend framework. MOSS - Microsoft SharePoint server is unique framework for enterprise application and integration with Project server. We have worked on CRM, CMS based enterprise Moss application with project server integration. We provide wide range of webparts, site definitions and work flow solutions. Project server integration with MOSS is our key skills. 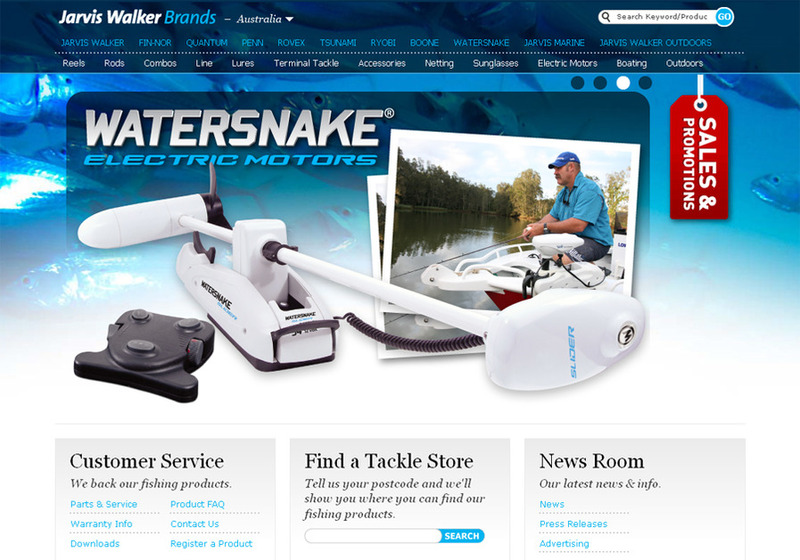 This is a screenshot from our latest B2B eCommerce site for Jarvis Walker - Australia's largest fishing tackle distributors.